Over the years, Karen has been a huge encouragement and wealth of information when it comes to homeschooling! We are excited to have her on the blog today! Thank you Karen for these practical words of wisdom. 1.) Looking back, what was something about your homeschool journey that you are glad you did? What would you have done differently? 2.) What did your days look like when you were trying to give instruction to the older children with the little ones constantly needing attention? What were some favorite ways to keep younger children occupied while you taught your older children? "Character and obedience before academics. These wise words were given to me by a seasoned homeschooling mom. She said if you can teach obedience, academics will fall into place. I found that to be true. When my oldest children began school and I still had smaller children to keep occupied, I would use nap time, a 30 minute video, coloring, building blocks or play dough time for the younger children while teaching the core classes such as math and reading to the older ones. When the younger children needed attention, I would assign art or handwriting to the older children. If the younger children were not settling down, we would set up a reward system for being obedient. Some may call it bribes, we called it incentives because then it became a game. As they got older, I began to assign lessons to be read on their own to begin being “self-taught”. If they had questions, I would step in and explain the lesson or if they completely missed the concept, we would back up and I would go over it with them. This would give me more time with the younger ones to begin the basic lessons of math and reading. We taught throughout the day and didn’t try to stay on a specific time schedule. Flexibility worked better for us and was a lot less frustrating. Sticking to a time schedule frustrated the kids and me and learning wasn’t fun anymore. Finding a schedule that works for your family is critical to being successful. It is so easy to compare to other families but your children are not like their children. Don’t compare. Looking back, if I had the choice to homeschool again, I would. Considering where our country is now, the one thing that I would have done differently would be to have the kids fluent in Spanish. It would be an asset to employment opportunities after college." 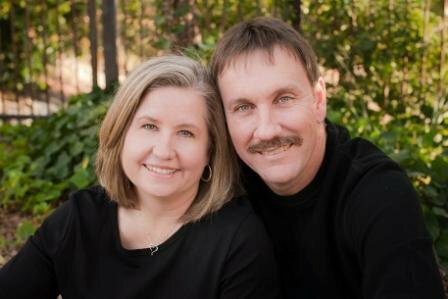 Karen and her husband decided to homeschool after her husband completed student teaching for his degree. What he experienced in the classroom was not what they wanted for their children. They began attending the homeschool book fair in Arlington when their oldest was 4 years old. They told themselves they would take one year at a time, then reevaluate whether to continue home educating. Well, 17 years later, and still in the great state of Texas, they are finishing up their last school year with their youngest child. Karen has a daughter working on her doctorate and two children working on their undergrad degrees. God has truly blessed their decision, and they wouldn't change it for anything.